Cataracts are one of the leading causes of blindness in the United States. Some 24 million Americans over the age of 40 are affected by cataracts. Prevent Blindness America declared June as Cataract Awareness Month and so here we are shining a light on this treatable condition. If not treated, cataracts can lead to blindness. In addition, the longer cataracts are left untreated, the more difficult it can be to successfully remove the cataract and restore vision. Cataracts are a clouding of the lens of the eye, which prevents passage of light into the eye. 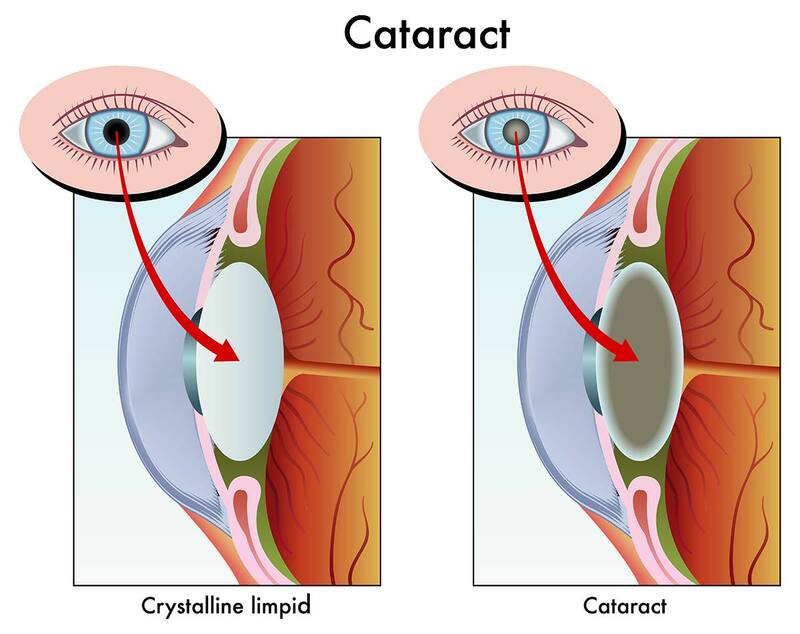 The solution to cataracts is cataract surgery, which requires a surgeon to remove the deteriorated lens and replace it with an artificial lens called an intraocular lens or IOL. Over 3 million Americans undergo cataract surgery annually, making it one of the most common surgeries in the United States. There is no proven way to prevent age-related cataracts. However, choosing a healthy lifestyle can slow the progression of cataracts. Some ways to delay the progression of cataracts include avoiding smoking, reducing exposure to UV rays, eating healthy foods, and wearing proper eye protection to avoid eye injury. People who smoke at least 20 cigarettes per day have twice the risk of developing cataracts as compared to nonsmokers. Obviously, the best course of action is early detection of cataracts. That is where we step in. Click here and schedule a comprehensive eye exam with us today!